George Richard Porter was born in Hamilton in 1893 to Thomas Porter and Isabella Sturgess of North Hamilton and attended North Hamilton State School. At age twenty-one, George enlisted on 7 July 1915 with the 22nd Battalion and sailed for Egypt in November that year. George transferred to the 7th Battalion and then the 46th Battalion in March 1916 and spent about another twelve months in Egypt and Palestine before heading to France. On 7 April 1917, the day the 46th were a part of an attack on Bullecourt, George was wounded, his left leg badly damaged. Evacuated to England, his leg was amputated a month later. 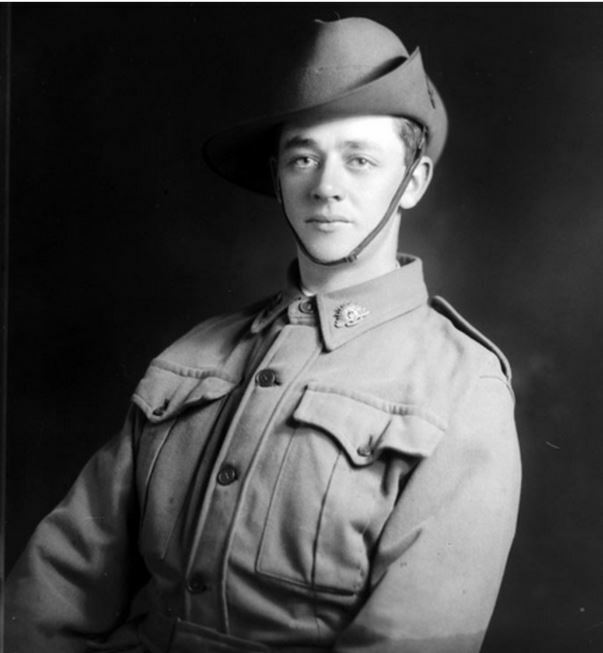 In July 1917, George returned home to Australia. He had survived the battle of Pozieres and Mouquet Farm while overseas and finished with the rank of sergeant. On 30 August 1917, George Porter returned to Hamilton and welcomed at the train station by the Mayor and other Councilors. Within a year of his return, George married Irene Walker of Richmond on 24 June 1918. “Family Notices.” Hamilton Spectator (Vic. : 1870 – 1918) 25 Jun 1918: 4. Web. 19 May 2015 <http://nla.gov.au/nla.news-article119503410&gt;. George didn’t return to live in Hamilton, instead settling in Coburg with Irene. During the 1920s, he was working as a clerk. George died at Heidelberg in 1951. His name is on the North Hamilton Honour Roll. As I noted down with Norman Leslie James Porter’s as well as this information on his cousin George Richard Porter’s story………that I would like to thank Merron for searching and putting this all together for us to read. They both were distant cousins on the Sturgess side of my family. My great grandfather James/Jas Sturgess was their mother’s brother.